NOW HIRING EXPERIENCED WORKERS CHECK THE JOB APPLICATION TAB FOR MORE INFORMATION! A Local Italian restaurant that has it's roots in the Hampton area and it's people, providing food for a number of years. 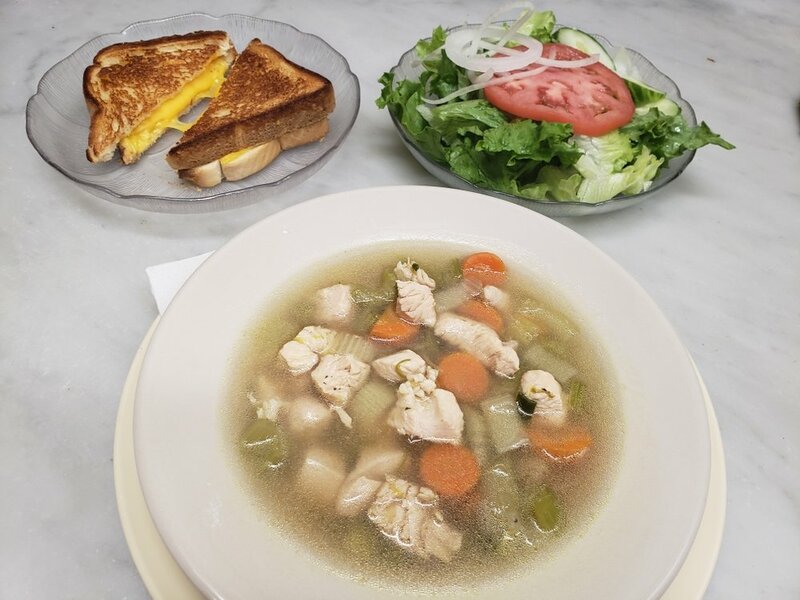 On Wednesday beef soup will be served while during Monday Chicken noodle soup will be served fresh until it lasts. Submarine made from thinly pieces of beefsteak and melted cheese in a long hoagie roll complete with Lettuce, Tomato, Sauteed onions, and mayo with choice of 8 inch or 12 inch sub sizes. (6.99 or 8.25 plus taxes). Dish made up of several layers of Lasagna sheets alternated with sauce and meats with cheese melted on top of the flat wide pasta dish, served with bread and salad. (9.99 plus taxes). An Italian-American dish consisting of home made tomato sauce, noodles, and in-house meatballs served with bread and salad. (9.00 plus taxes). A Hot Submarine toasted made up of Provolone, ham, turkey, lettuce, tomato, onions, and mayonnaise available in 8 or 12 inches. (5.99 & 7.75 plus taxes). Made up by rolling up dough with cheese and meat and vegetable ingredients (Pepperoni, Ham, Sausage or any 3 other regular toppings) and is then baked with the choice of small or large. (10.99 or 13.99 plus taxes). A classic burger made up with lettuce, onions, american yellow cheese, mayonnaise and tomatoes with pure Angus beef that is sizzled to a well done perfection. (3.99 plus taxes). A hand tossed pizza made with the freshest of ingredients topped with pepperoni, sausage, ham, Canadian bacon, and hamburger sure to satisfy anyone who has a craving for meat, served in small, medium, large, and extra large. (12.50, 17.50, 18.50, 24.99 plus taxes). 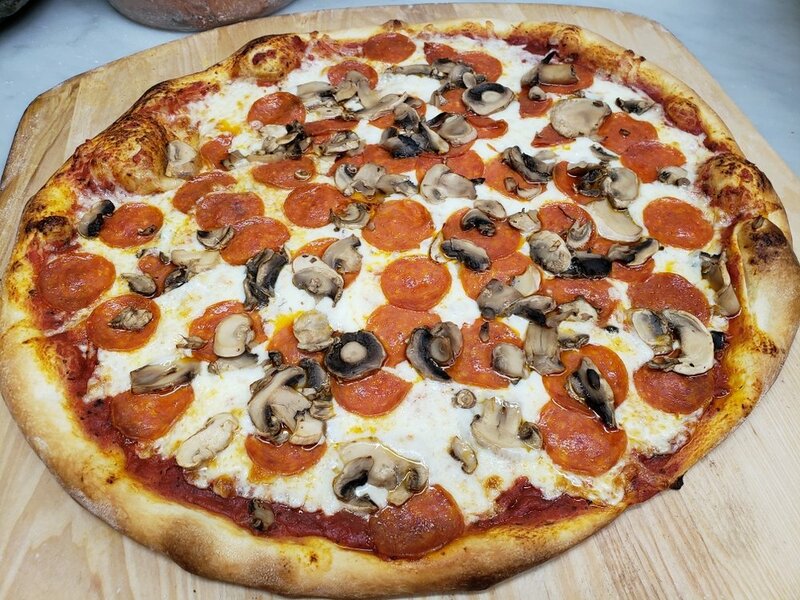 A hand tossed pizza made with the freshest of ingredients topped with pepperoni, sausage, mushroom, green pepper, and onion that is perfect for any party with diverse tastes, served in small, medium, large, extra large. (12.50, 17.50, 18.50, 24.99 plus taxes). Thank you for taking the time to show interest in our resturant, have a nice day and if you have any questions do not hesitate to contact us!